In this “Meet the Teams” special bonus edition, two of our NOAA Bonus Prize Finalists provide their take in what “ocean discovery” means to them, their experiences as a semifinalist in the $7 million Shell Ocean Discovery XPRIZE, and what lies ahead as they prepare to put their technology to the test as Finalists in the $1 million NOAA Bonus Prize. Read on to learn more about these Teams and the exciting challenges they face to create pioneering solutions for autonomous detection and tracking of chemical or biological signals underwater to their source. Remember to stay tuned for updates of Bonus Prize Testing taking place this month on XPRIZE Facebook and Twitter! 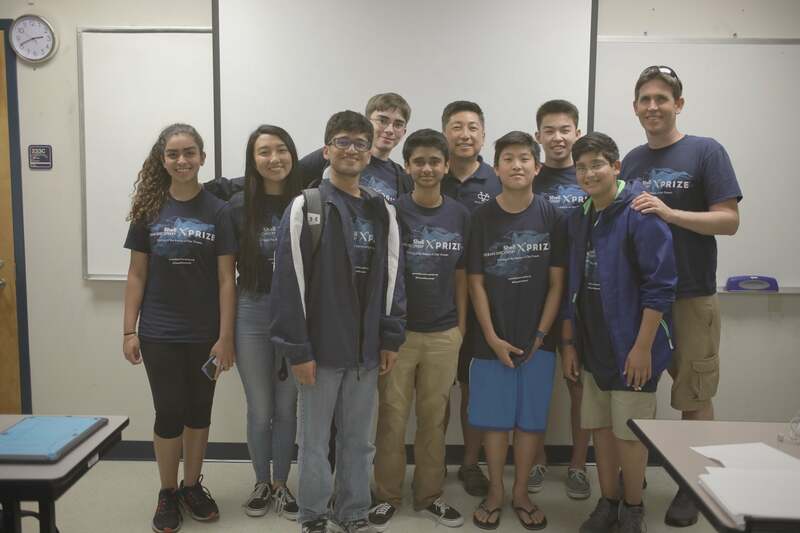 Comprised of junior high and high school students and their advising faculty from Valley Christian Schools of San Jose, California, Team Ocean Quest is the Competition’s only precollege-aged student team. Faculty members of the schools, Team Lead Danny Kim (Vice President & Senior Director, K-12 AMSE Institute, Director of Innovation for the Quest Institute for Quality Education) and the Team’s Lead Engineer and Program Manager, Stephen Huber (Associate Director of R&D), provide guidance to the 18 young students who learn and develop their solution in the classroom and in the field as part of their applied math, science, and engineering curriculum. 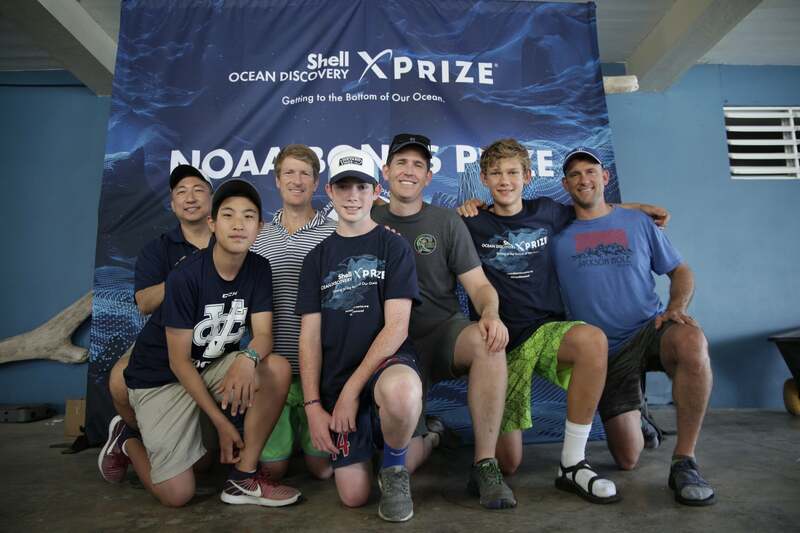 With the accomplishment of being one of the 21 semifinalists in the Shell Ocean Discovery XPRIZE, this student-driven team is aiming to be in the final winning spot for the NOAA Bonus Prize. Learn more about Team Ocean Quest here. What I appreciate most about XPRIZE is the difficulty of the challenges that require technological leaps to be able to accomplish them. They are inspiring and provide incentive to individuals and companies to take on the risk. I’m more excited to see the innovations to come out of these competitions than the rewards themselves. We’re not sure what we’ll find and that is what makes the ocean so interesting and exciting. As a result of this competition, we have developed an ongoing ocean STEM education program in partnership with the Monterey Bay Aquarium Research Institute (MBARI) to deploy our own sea floor experiment platform on the bottom of the Monterey Bay utilizing MBARI’s cabled observatory called MARS. 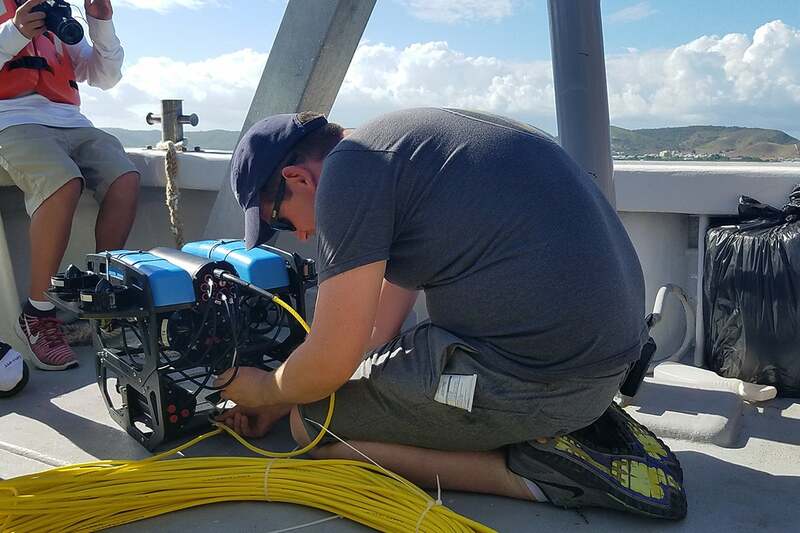 Students from around the world will be able to explore the sea floor 900m below the surface by controlling pan/tilt cameras, underwater microscopes, hydrophones, and ROVs. 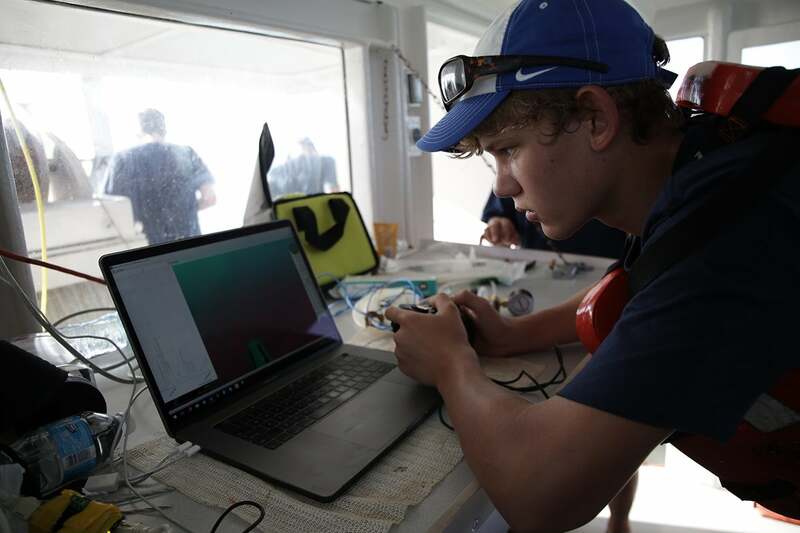 Our biggest team accomplishment so far in this competition has been that Ocean Quest is the youngest team in XPRIZE history to make it to a semi qualifying round of a main competition and the finals of a bonus competition. When reviewing the other teams, there was one that stated that they had over 120 years of ocean engineering experience. When we added up the ages of all our team members, we had about 120 years of LIFE experience! As a mentor, I’ve been so impressed with the students’ work ethic and determination despite being up against seemly impossible odds. Tell us a funny story that happened during the Competition to you or your team. We unfortunately had so many things go wrong during the last round of the competition. We had multiple parts suddenly fail on multiple vehicles and battery issues. On top of all these challenges, in the middle of the night when the students were up late working through these issues, the toilet in their room clogged and flooded covering their whole hotel room floor in water. The team joked that even the toilets were against us! 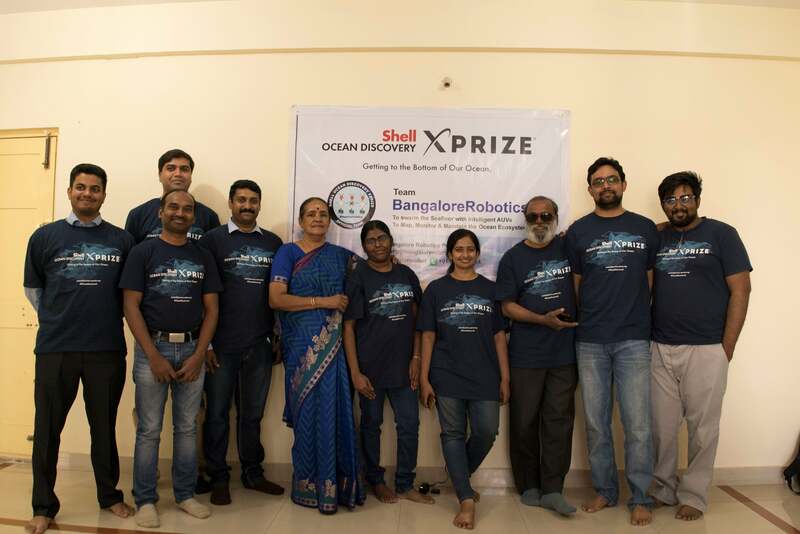 Another semifinalist of the Shell Ocean Discovery XPRIZE, Team BangaloreRobotics is a group passionate in robotics that have joined together as a company specializing in research and development of innovative, unmanned underwater vehicles and systems. With over 18 years of experience in the field, BangaloreRobotics aims to be part of the change in the next generation of marine technologies by developing low-cost underwater swarm AUVs and become a leading voice in advocating for more concerted efforts towards greater ocean health and “leverage the XPRIZE Challenges to #CleanTheOceansPlastic for a #CleanGreenOcean.” Dr. Venkatesh Gurappa steers the helm as the Lead for this team based primarily in Bangalore, India. Learn more about Team BangaloreRobotics here as well as on their team website. Sumithra: The Color - Why blue? Why Green ? Sahas: The incessant waves that dissolved the sand under my feet and its pull towards the sea. Geetha & Sneha: The leverage provided to understand the secrets of the ocean, awareness about the importance of the ocean’s biodiversity, and the impetus to develop tools for ocean conservation. Venkatesh & Revanth: Plastic, Plastic and more PLASTIC! Apart from that, new adapted species and life forms. Raghavendra: “Ah-ha!” When our AUV survived 1850m for 72 hours! Sudarshan: “Awwww…” When our AUV sank during the storm, when our boat’s Captain panicked and ran the OB motors full-speed ahead and the safety tether broke. 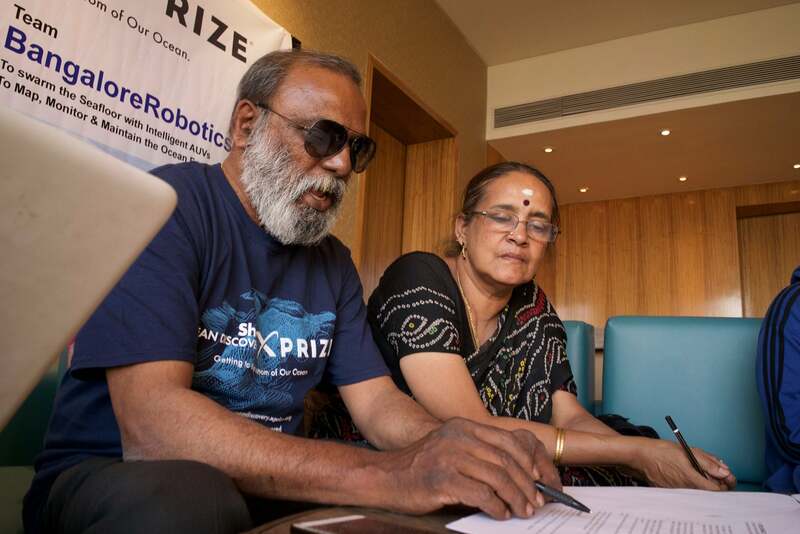 Sneha & Ramesh: Team BangaloreRobotics started a world-wide campaign by name “#CleantheOceansPlastic.” Gaining world wide support and propagating the importance of maintaining our ocean’s health has been our biggest achievement in getting to the finals! Sumithra: Funny…. nothing really funny happened. But, working for the Competition was real fun! January 2019 will have the world watching the first international tennis Grand Slam event of the year in Melbourne, Australia. That same month, we will also hold the final testing for the NOAA Bonus Prize. Why should people root for your team? Sahas: Because… we are out to make an impact on the ocean’s health and on our environment! Venkatesh: Jacques-Yves Cousteau, because he invented the Aqualung and pioneered Underwater exploration. Sumithra: Jacques-Yves Cousteau, because his love of the Marine life and conservation initiatives are awesome and inspiring. 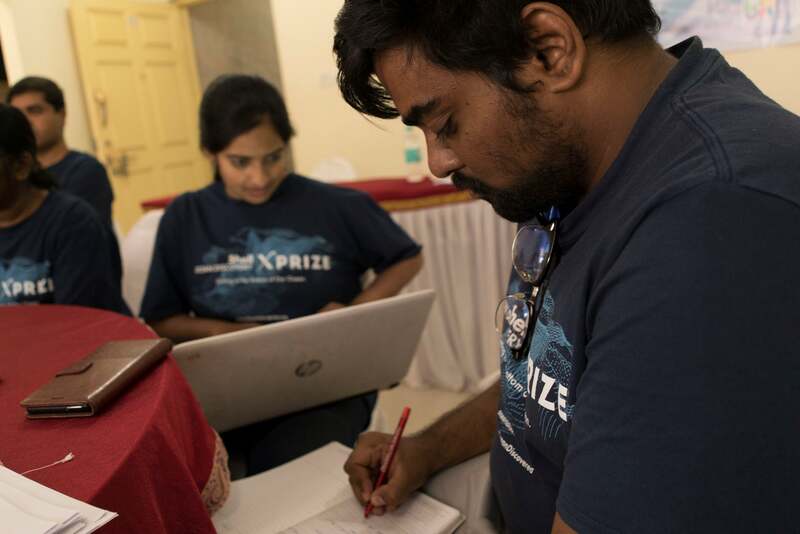 Sneha & Revanth: The Shell Ocean Discovery XPRIZE has awakened an intense desire to explore the oceans through new, innovative and low-cost solutions. 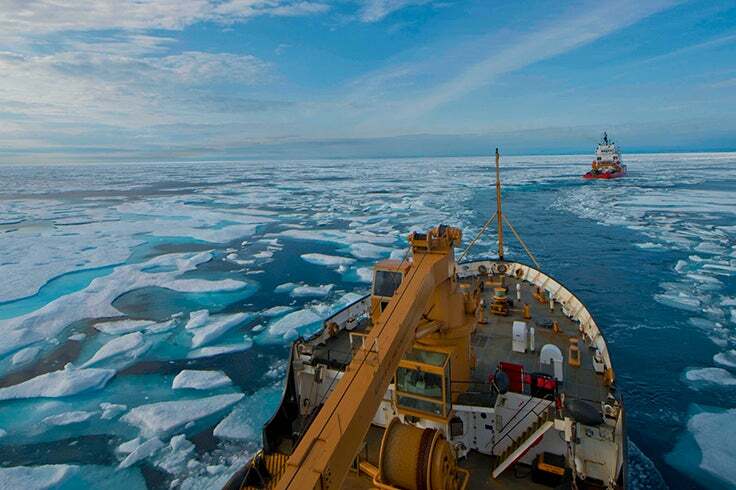 The world is now understanding the importance of oceans and are trying to delve deep into them to revolutionize the monopoly existing in the maritime industry. In the next 100 years, the maritime sector will experience a technological breakthrough with the new technologies replacing the old techniques! Based in Florida, U.S., Tampa Deep Sea Xplorers combines expertise in robotics, mechanical engineering, computer programming and design. 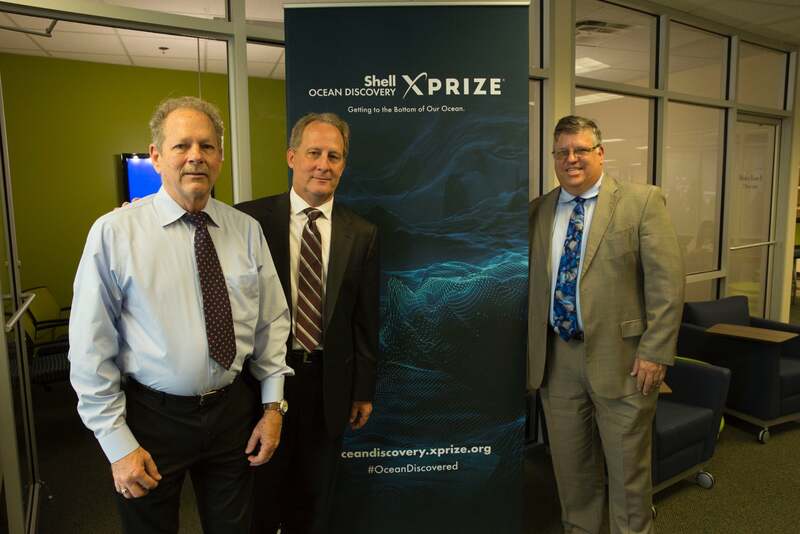 Originally formed to as a company specifically to compete in the Shell Ocean Discovery XPRIZE and also a resident of the University of South Florida’s Technology Incubator Program, these Xplorers are continuing on their quest to know more about the undiscovered ocean as a Finalist competing in the NOAA Bonus Prize. Learn more about Team Tampa Deep Sea Xplorers here and on their team website. Dennis: The Abyss (1989). It contained technology that was believable and a storyline that caused me to think about what could be found in an unexplored part of the world. Ed: It’s impossible for me to say what sparked my initial interest in the oceans. I have always loved the water and exploration of all types. My first passion was space, and my second was anything related to underwater exploration, submarines, diving vessels, habitats, diving. I do know what inspired me to become a diver though, it was taking a breath on a scuba regulator in a bathtub. My best friend in Junior High had taken a scuba class and let me try it in his tub. I took scuba as soon as I could after that. What is your first memory of the ocean and how old were you? Ed: I was 12 the first time I saw the ocean. My family was on a vacation to California and we drove along the Pacific Coast highway. I had always liked the water, but I had only ever seen rivers and lakes. So, this was the first time I had seen a body of water that stretched from horizon to horizon. I had no idea at the time that I would go to dive school a decade later and become a deep-sea diver. Dennis: I was about 23 and traveling across the country to the west. I remember coming over the top of a mountain and seeing the vast expanse of the Pacific ocean. I remember, as far as I could see, there was nothing but ocean. I was quite impressed. 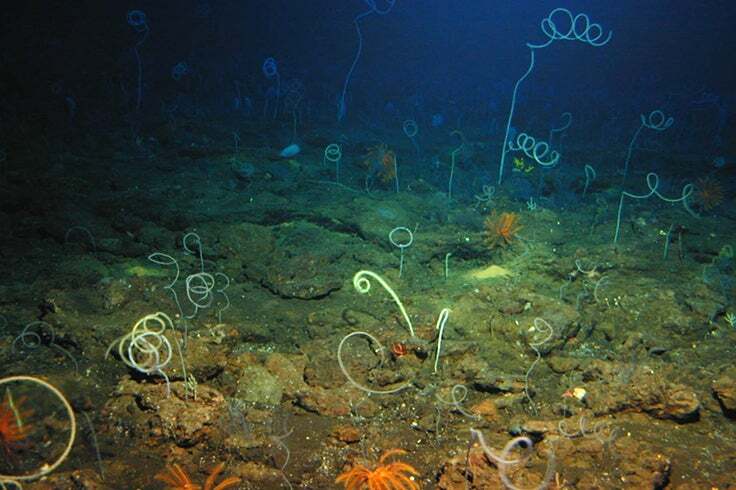 There really is no telling what can be found in and under the deep ocean. It’s so vast that there are whole mountain ranges that are undiscovered. We will no doubt find vast mineral deposits, lost ships and planes, and probably whole civilizations that we had no idea had ever existed. Since the oceans cover nearly 75% of the earth’s surface, we will find everything we see on land and in greater quantities. 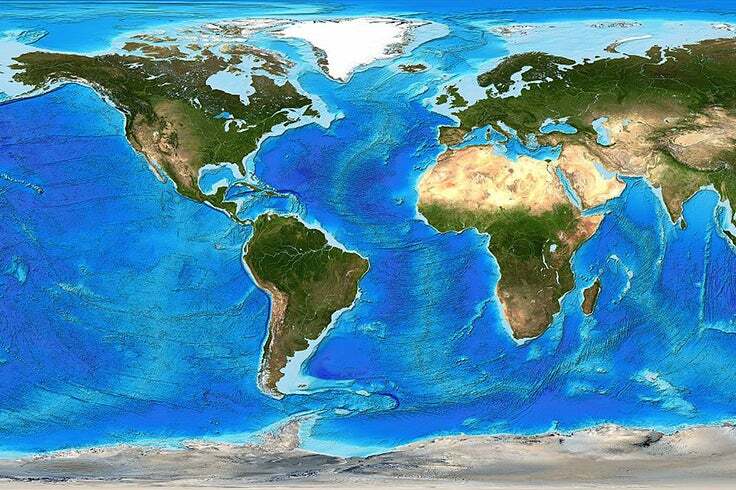 Our oceans are a vast untapped resource. 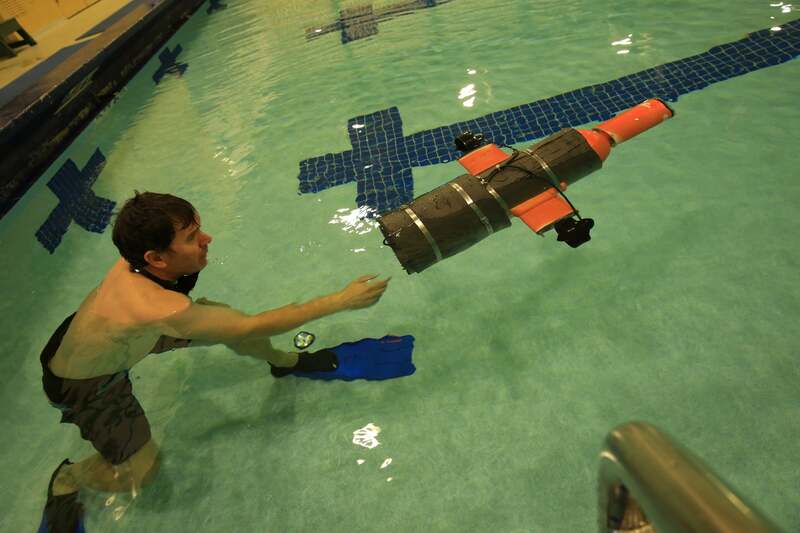 Dennis: My biggest personal achievement is being able to quickly come up to speed with CAD (Fusion 360) and 3D printing to be able to design and print parts for our AUV. Ed: Just getting to the finals is our greatest achievement. We are a small team with limited funds and the NOAA Bonus Prize challenge is a huge and complex problem. 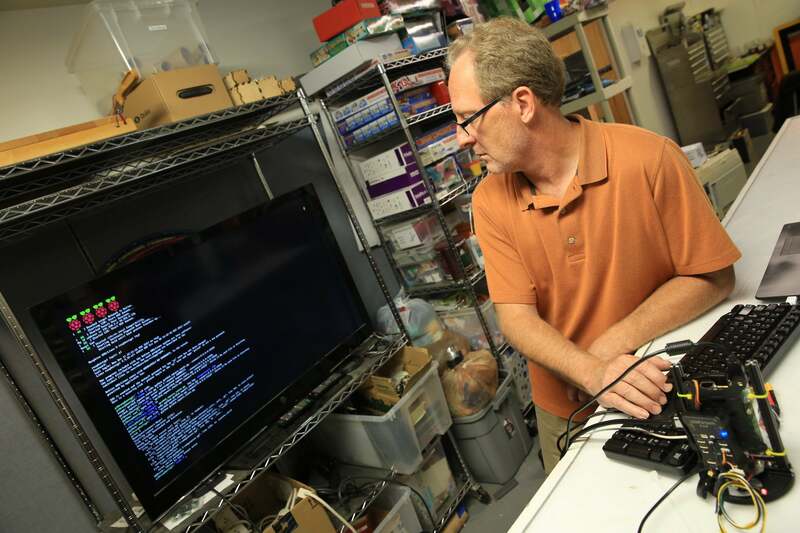 We have had to spend a lot of weekends, holidays, and nights working on our technology. We have had a fraction of the funding available to many other teams. Ed: This is a very tough question for me since I love history and exploration. A lot of explorers come to mind. I admire people with vision and courage who are willing to put themselves out there to discover something new. Some of them did so for money, fame, or adventure and then there were those who simply wanted to know “what if?” Here are a few: Christopher Columbus, Ponce de Leon, Lewis and Clark, Jedediah Smith, the Wright Brothers, Nikola Tesla, Chuck Yeager, Alan Shepard, John Young. Ed: Again, this is a very difficult question because there are so many. The digital computer though comes to mind very quickly. The invention of the computer has changed every aspect of everyone’s life over most of the globe. Most of the changes have been beneficial but of course there are also new dangers and pitfalls to any technology. Computers though have enabled instant communications around the world, advanced every science and created some new ones, advanced our understanding of mathematics, permitted exploration of the deep ocean, the solar system, our galaxy, and the universe as a whole. It would be difficult to find any invention of the past 50 years that was not impacted by the digital computer. Ed: Without a doubt Artificial Intelligence will be the most significant technological breakthrough in the past 100 years and probably the biggest breakthrough since the invention of fire. Like fire though, AI also presents some new challenges and dangers that we will need to overcome. I hope we’re up to the challenge.